Authored by epriestley on Mon, Apr 1, 4:25 PM. Depends on D20361. Ref T13272. Currently, Dashboards have three separate modes: view, arrange, manage. 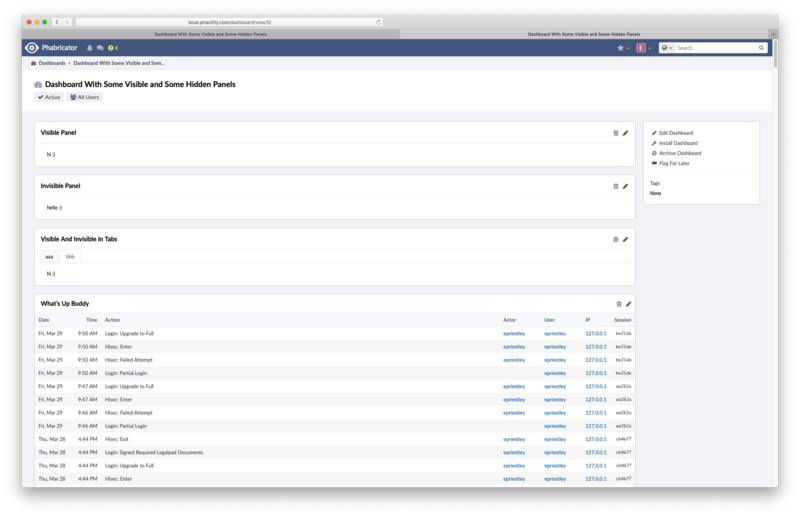 With the advent of Portals, I think we can simplify this, and make the dashboard view a combined view/edit/manage page. To view it in a cleaner standalone way, you can add it to a portal/home/project. I'll also improve the "Install" workflow. Viewed a dashboard page, clicked through all the actions, grepped for affected URIs.